SKU: ST878. Category: Robert, Sets. 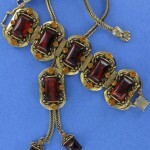 Though unsigned, it is attributed by collectors to the work of Robert. This is a rare and unusual set. 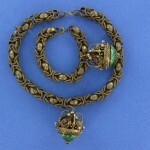 It is ornate and vivid. 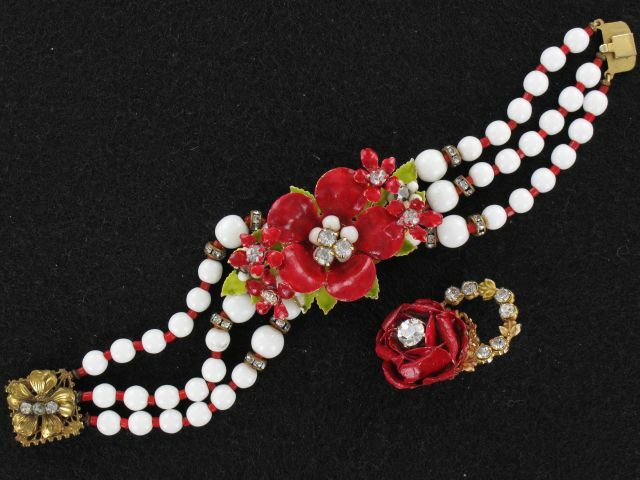 Gold tone filigree setting decorated with bright red enamel flowers and just a few pale green enamel leaves, all adorned by clear rhinestones. 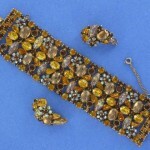 Bracelet’s golden clasp is also decorated by clear rhinestones. 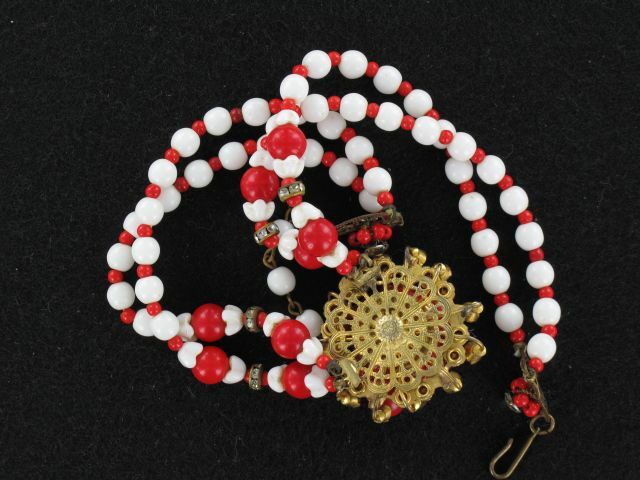 Necklace has two and bracelet three strands of milk glass and red glass beads. 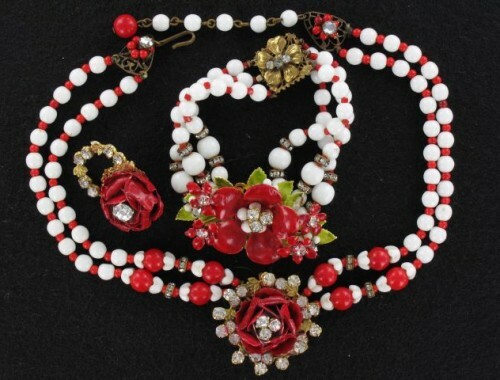 The necklace clasps are decorated by flowers from red beads and clear rhinestones. 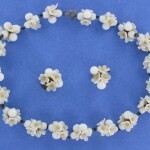 The necklace measures 15.5″ long and 1 3/8″ wide. 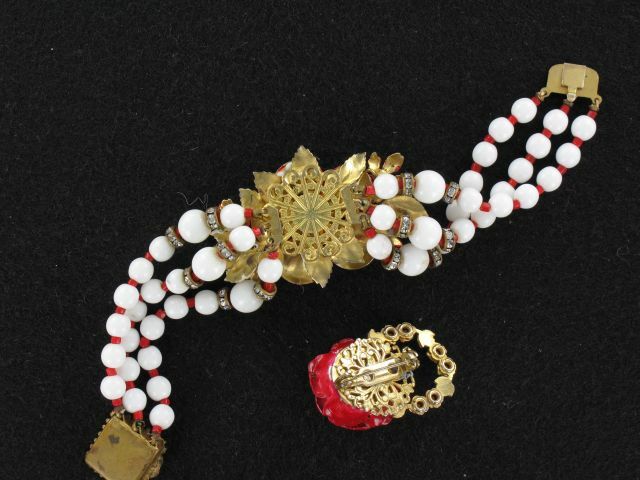 The bracelet is 7″ long and 1 3/8″ wide. Pin is 1 3/8″ by 7/8″. Excellent condition.